The act of adjusting interest rates can help control inflation and support economic strength. At its most basic, when the Fed lowers rates, they are indicating that the economy is contracting—and when they raise rates, they are indicating that the economy is growing. Overall, investors seemed to react reasonably to the interest rate increase. The VIX, a measure of expected volatility in the markets, increased by 4.6%—but it remains at low levels.8https://finance.yahoo.com/quote/%5EVIX?ltr=1 In other words, the likelihood of great volatility seems slim. One area of the market, however, did not respond well to the Fed’s interest rate increase and inflation increase prediction: bonds. This summer, global bond markets experienced a rally in response to a variety of factors, including potential slowing economic growth worldwide. But since the U.S. election, the value of government debt has dropped by more than $1 trillion, as investors now expect greater inflation and a quickening economy.9http://www.wsj.com/articles/bond-rout-deepens-after-fed-rate-signals-1481794245Essentially, the faster the economy and inflation grow, the less value that long-term government debt holds—contributing to the bond market’s recent losses. Rising interest rates have both positive and negative effects for individuals. If you have money earning interest in the bank, you can expect to earn a slightly higher return. Conversely, if you borrow money—such as taking out a new mortgage or refinancing existing liabilities—your interest rate may be higher than before the Fed’s announcement. 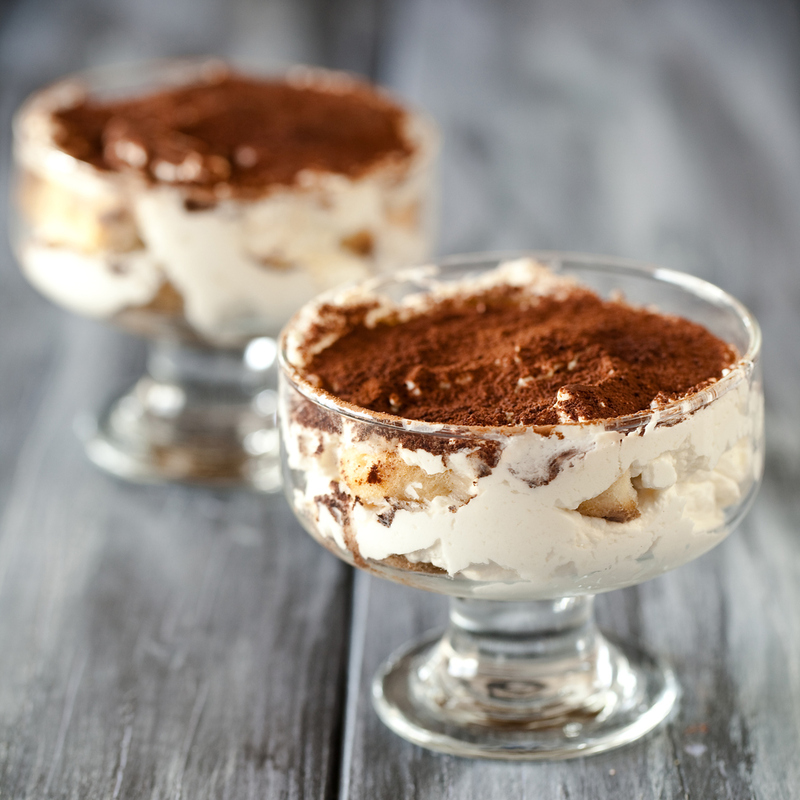 Tiramisu is a luxurious no-bake dessert that’s perfect for a dinner party. While the coffee or espresso is still warm, whisk the sugar in until it dissolves. Add the liquor and chill. Pour the mixture into a baking dish. Dip each ladyfinger quickly, shaking off excess liquid. Line the bottom of an 8×8 baking dish with the ladyfingers, pressing them together and trimming to fit. Beat the vanilla ice cream or sweetened mascarpone with an electric mixer until it’s soft and spreadable. Pour the mixture over the ladyfingers, and use a spatula to spread it over the whole dish. Cover with plastic wrap, and freeze 2 hours until firm or overnight. Remove it from the freezer about 20 minutes before serving to soften. Dust the top with cocoa powder before serving. Contribute the maximum. In 2016, you can contribute a maximum of $5,500, or $6,500 if you are age 50 or over. You cannot contribute more than your taxable compensation, so be sure to adjust your contributions if your compensation was less than these limits. Remember, you must have taxable income in order to contribute to an IRA; but if you are married and filing jointly, you can each make contributions even if only one of you is working. Speak to a tax advisor to learn about how an employer-sponsored retirement plan will affect your deductions. Don’t contribute more than the max. If you contribute more than the IRA limits for 2016 (or more than your income allows you to contribute), you will be subject to a 6% tax on the excess contribution amount for each tax year the money remains in your account. You can withdraw excess contributions by the due date for your tax return. For more information about IRAs or end-of-year tax planning, please call us or another qualified tax advisor. If you often stress about remembering to turn the stove off or lock the car door, create a routine in which you complete the action and then consciously tell yourself that you did it. For example, say to yourself, “I’m locking the car doors right now.” Each time you do it, you’ll create a stronger mental connection. Remember where you parked the car by paying attention to what section you’re in and developing a strong memory of it by repeating the name aloud and creating a visual connection. For example, section 4F could become four fish swimming in a circle. Windows and doors can be major sources of heat loss in your home and can run up your heating bill if left unaddressed. Seal uninsulated windows in out-of-the-way places with bubble wrap by misting the pane with water and pressing the bubble side against the glass.